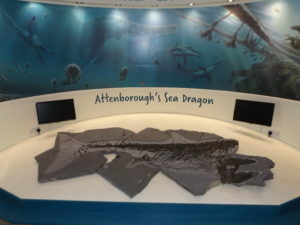 Join artist Darrell Wakelam at the Centre to re-create the missing head of the Attenborough Sea Dragon. This is a free drop in event so no need to book, just turn up and help piece together the ichthyosaur skull. The skull will form part of a new display at the Heritage Centre.